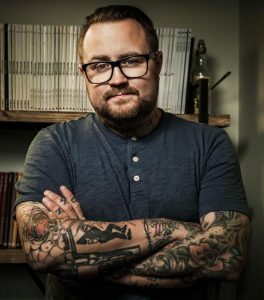 Chef Jamie Bissonnette earned his Culinary Arts degree from The Art Institute of Fort Lauderdale by the young age of 19 and spent his early 20’s eating and cooking his way through Paris, San Francisco, New York and Phoenix. In 2011, Bissonnette was awarded the prestigious honor of Food & Wine magazine’s first ever People Choice Best New Chef. Since then, Bissonnette has been named Best Chef: Northeast at the 2014 James Beard Foundation Awards. Bissonnette is a champion of nose-to-tail cuisine and is well-known locally and nationally for his exceptional charcuterie and passionate dedication to supporting local, sustainable purveyors. In September 2014, Jamie launched his debut cookbook—The New Charcuterie Cookbook: Exceptional Cured Meats to Make and Serve at Home.